Update: OnePlus 5 gets a new Open Beta leak based on Oreo. Open Beta Program has been live for the OnePlus 5 since last week with the first build available across the globe. The official Open Beta 1 for the OnePlus 5 is based on Android 8.0 Oreo and features the latest Oxygen OS 5.0 user interface. This brings us to the latest Beta 3 which was just leaked a few hours ago. This is the third leaked Beta version this month. We have already see the first Beta and the Beta 2 for the OnePlus 5; all based on Android 8.0 Oreo. The first two updates brought several Oreo goodies like Picture-In-Picture, Autofill for usernames and passwords, smart search, and much more. 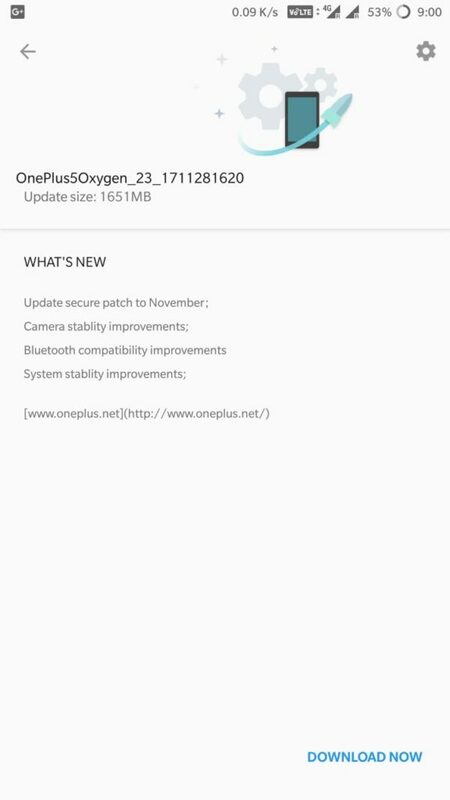 This new leaked Beta 3 for OnePlus 5 is based on Android Oreo and features the latest November 2017 security patch. Other updates include Camera stability improvements, Bluetooth compatibility, and overall system stability improvements. That’s all the update log says. This also means that the official Open Beta 2 shall receive the same. The downloads are available below along with the installation instruction tutorial links. You can either install it using the Local upgrade method or the ADB sideload method (recommended). Improvements to camera in low light. Here are the full stock firmware downloads for the leaked Open Beta 3 for OnePlus 5 and 5T. Unfortunately, the Open beta program has not started for the OnePlus 5T. So you will have to wait. How to install Oxygen OS using using Local Upgrade methods? How to install using ADB sideload method? If you would like to revert back to official Android 7.1 Nougat onto OnePlus 5, then you will need some special firmware packages listed here under how to downgrade section.